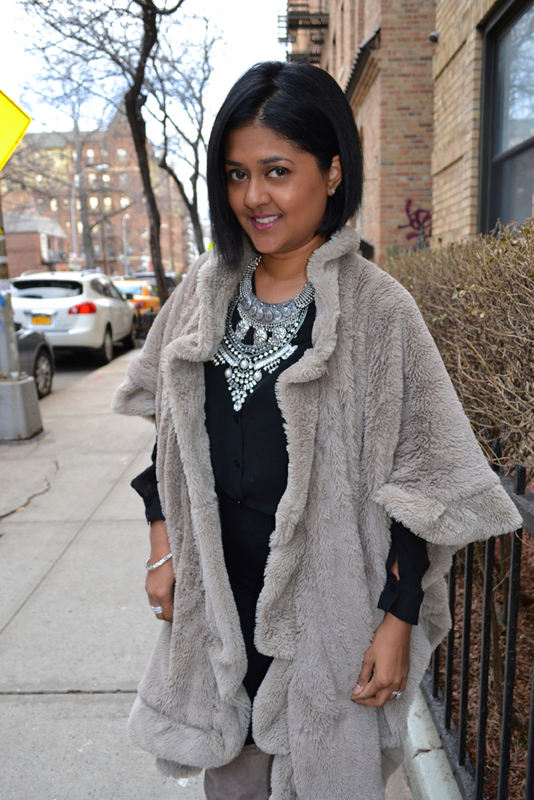 Ponchos and throws have been my main accessories this winter. 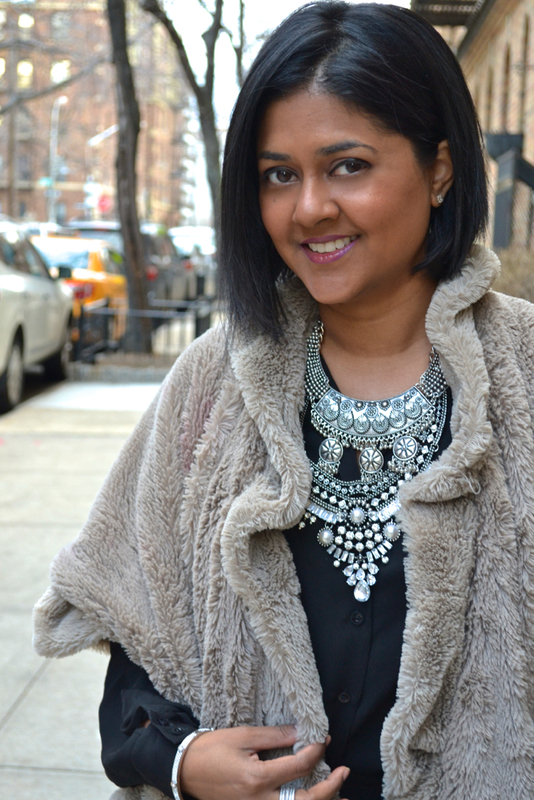 Adding this faux fur one to my arsenal was one of the best things I did for my wardrobe. Its a throw, its a scarf, and its a poncho. You can even belt it and wear it as a vest. The best part is that I purchased this from the Good Morning America deals and steals episodes. I love a deal! You can catch me curled up in this on the couch on any given night!